At last, lashes that do what you want! 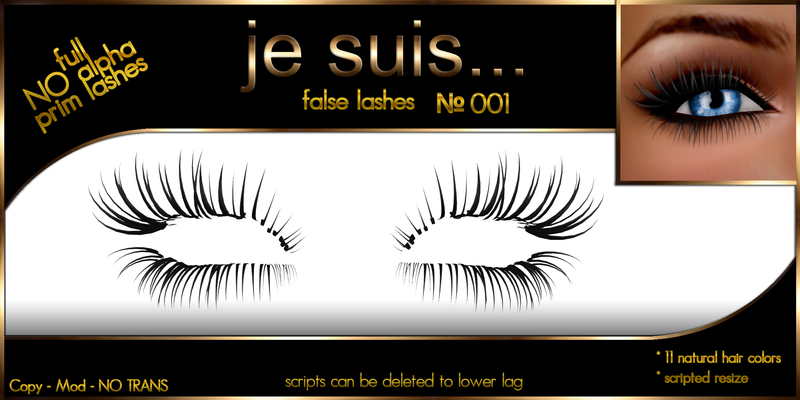 Je suis has created a set of scripted lashes with a simple resize menu. The bad days of fitting lashes in Edit are over. je suis…false lashes even give you a selection of eleven colors to choose from. And best of all, je suis…false lashes do not use alphas, so you get real lashes that look good all the time, even close up. All scripts can be removed to reduce lag.